"your massage is so different." Clients often tell me, "your massage is so different." I bring my creativity to every session and I don't follow a routine or script. 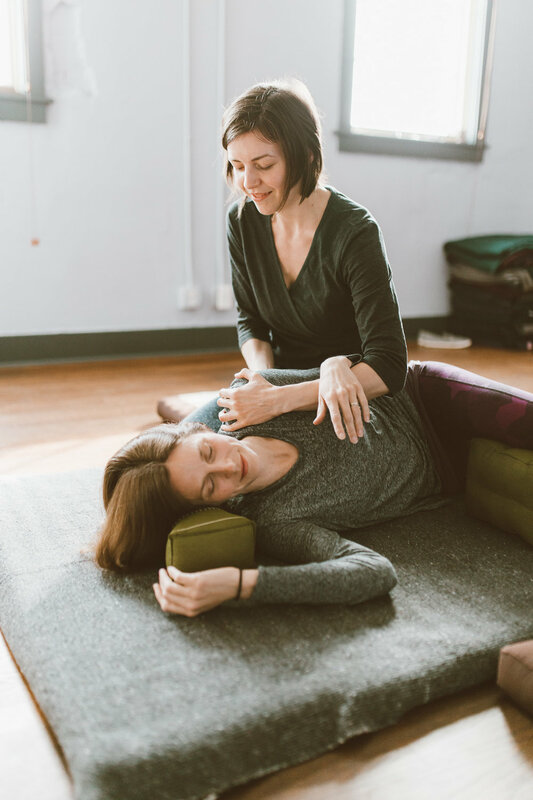 I use my hands, feet, elbows, and knees to skillfully and intuitively employ a wide range of techniques including Ashiatsu, Thai, trigger point release, myofascial release, muscle energy, stretching, reflexology, energy work, and more. So whether you’re looking for an insightful deep tissue massage, a luxurious relaxation experience, or somewhere in between, I have the tools to help you align with your intention. When you schedule online, please choose a Therapeutic Massage if you'd like a session on the table (including Reiki and reflexology) and a Thai Massage if you'd like a clothed session on the floor mat.